Why Join the Friends of Dulwich Park? Ever wondered why Dulwich Park is so fabulous? Ever wondered why it has a super playground, swathes of glorious spring flowers, an enchanting copse, new trees and more? No doubt you are reading this is because you already know that parks are precious places. But did you know what a huge difference a friends group can make? Without friends, our public spaces can easily become neglected and pushed down the list of local authorities’ priorities. But with friends, they have a voice – and the more of us there are, the stronger that voice is! Making a real difference to your local park and community. Helping to preserve Dulwich Park and shape its future by joining the committee, volunteering at events such as the Dulwich Park Fair, participating in the AGM, or simply by contacting us with suggestions. 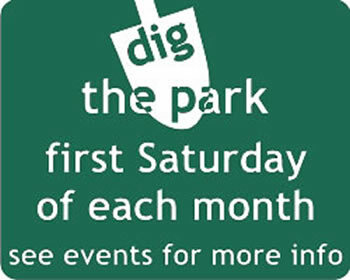 Kept up-to-date with our email newsletter, including invitations to Dig the Park with enjoyable activities such as bulb and shrub planting, weed clearing, pruning and coppicing. However much or little you would like to be involved, we welcome you! Dulwich Park Friends membership runs from 1st March to 28th February, and is available as Single membership for £3.00, or Household membership for £5.00. Note: You can read our privacy statement here.